UPDATE: The game is opened. You are able to join now by visiting this page. Only 3 minutes and our giveaways are yours! As the FIFA World Cup 2018 is about to kick off, we are excited to create a competition where the aim is to predict football results. Follow our Facebook Fanpage for update! The game will start on the 13th of June until June, 20th, only by filling your short answer in our form. 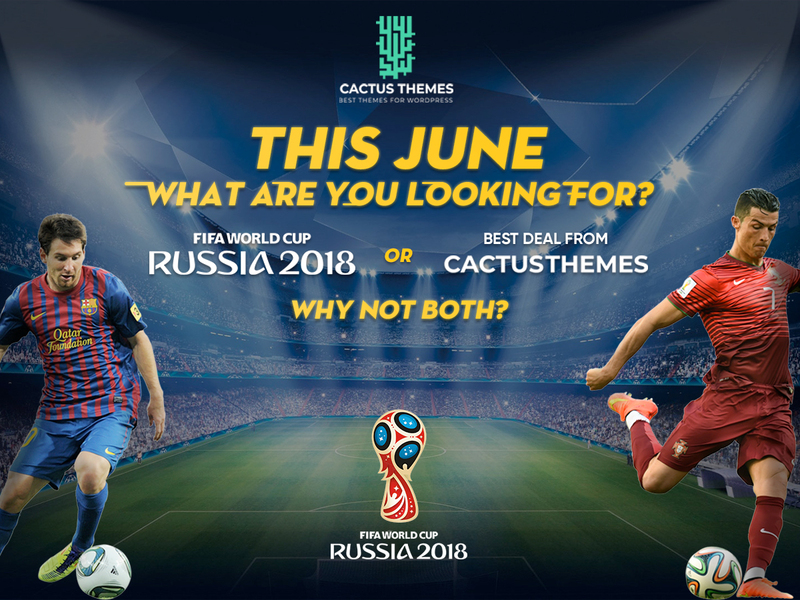 Besides, we are going to offer our beloved customers a big big deal, only this World Cup season! Please follow up on our Facebook Fanpage or on Envato! THERE ARE LOTS OF INTERESTING GIFTS FOR THE WINNERS. WE PROMISE TO NOT LET YOU DOWN! Start planning your summer now for this biggest football match of the year! We really do hope to have chances to give your our presents!